Halal Accreditation Council (Guarantee) Limited (HAC), said the majority of milk Powder brands are Halal certified and are free from any non-Halal material (including but not limited to pig fat). 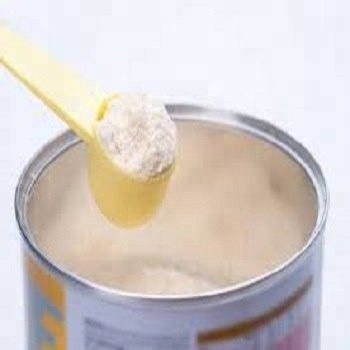 The HAC issued a statement responding to the recent controversy purporting to the possible existence of PIG FAT, amongst other adulterants, in imported milk powder marketed in Sri Lanka. “The HAC, through its process of pre and post certification audits, has verified the products in question, from the very source of origin i.e. New Zealand & Australia, upto the point of manufacturing/ repackaging in Sri Lanka. HAC has an internationally recognized, robust, & reliable certification audit system. The Certification process of HAC involves, detailed testing and auditing conducted by internationally accredited and recognized foreign certification bodies and laboratories. HAC’s standards and audit processes for imported milk powder essentially emphasizes on the need for traceability of all raw material considered critical to Halal conformity. Consequent to such careful evaluation, HAC responsibly reaffirms that the products certified to be Halal and are free from any non-Halal material (including but not limited to pig fat). HAC is the only entity certifying and conducting professional and internationally accepted compliance audits for Halal standards in Sri Lanka. HAC, through its certification has facilitated Sri Lanka’s exports in Food & Beverages worth USD1.6 Billion (estimate avg 2012 -2016). The HAC has alliances with and recognized by over 80 Foreign Halal Certification Bodies (FHCB), established in over 56 countries spread across the globe. If the consumer submits you several samples of milk powder, some Hall certified and some not clearly certified, some containing pig fat, other’s containing other fats, can you analyze and point out which are Halal and not Halal? Sometime some Chinesilk powder manufacturers added melamine to milk powder to increase the protein content, and caused several deaths. Will a Muslim go to hell, by consuming non-Halal products and become sick, psychologically and physically? Can you ask ACJU of Sri Lanka? They are the Halal “experts” in Sri Lanka. There is obviously a continuous monitoring process in place for companies paying for the halal accreditation. Yes milk does contain other fat if pig fat was excluded (obviously it cannot be there unless added) for example Milk fat for the vegetarians and those who know the ultimate truth cows fat, because if milk was derived from cows then the fat in it has to belong to the cow. A Muslim going to heaven or hell has nothing to do with this articles content. If you really want a detailed lesson on this please visit Wikipedia. ACJU has nothing to do with halal certification, it is done by HAC; a private limited company. Fresh milk for all children and adults with a hygienic distribution system is the solution.Also using coconut milk as a substitute for dairy milk particularly for adults. The thothe baba politicians are being now given only fresh milk in the Parliament of corrupt clowns. Distribution of fresh milk though highland, milco and ‘milk board’ outlets in all schools and markets at market price should be the norm as in India where Mother dairy and cooperatives distribute FRESH milk and milk products.. Sometimes you have to think like a patriotic. If the certification adds some value to the national economy, more digging is not needed? How many Muslims look for HAL certification when they purchase a product in SL? Not even 0.1% of Muslims in SL eat all Halal /day since practically it is not possible – So better be certified with its positive side. You mean practice COMMERCIAL Taqiyya? Is it patriotic.? You will gain in the short-term, but will lose in the long-term. Then it becomes a calculated, risk/benefit decision by the involved authorities. Taqiyya was initially practiced under duress by some of Muhammad’s Companions. [ Later, it became particularly important for Shias due to their experience as a persecuted religious minority. According to Shia doctrine, taqiyya is permissible in situations where there is overwhelming danger of loss of life or property and where no danger to religion would occur thereby. Taqiyya has also been politically legitimised, particularly among Twelver Shias, in order to maintain unity among Muslims and fraternity among the Shia clerics. You said “Will a Muslim go to hell, by consuming non-Halal products and become sick, psychologically and physically?”. And I said, “Not to be hard and fast”. Then you say, Taqiyya (defined, denial of religious belief and practice in the face of persecution) – Taqiyya is not necessary in S/Lanka where Muslims have more than enough freedom to practice the religion. So, you say, be strict or not to? Or you don’t care about your own opposite views, just want to win any argument? If they really have made contaminants to usual milk power, that is definitely a crimal act. Not even WW I and WW 2 days, people were poisoned in that way. This is no joke, lanken authorities over to you, you need to react as soon as possible. Alone spread lies on milk power use will have dire consequences. What if people would try to avoid milk and milk products for their daily CONSUMPTION. Milk is the primary source of lots of vitamines to human nutrition. Anaemias or the like could ruin the health of people, if people would not use milk anymore. I think only way out would to increase fresh milk production and switch on to use them than milk powders. That can improve the quality of pepole as is the case in Europe. I have not heard using MILK powder in european countries. But as ones grew up and moved to europe or the like countries, we could not be without MILK power for our daily use,in our child hood. The consumers need to know what is in what they are buying and consuming. It is up to the manufacturers to certify that, and the authorities to check on it. If the Muslim consumer believes that he will be severely psychologically and religiously affected by consuming pig fat contaminated foods, the presence of pig fat should be disclosed. Nobody wants to consume dog meat or pig meat, believing it is goat meat. The 2008 Milk Scandal Revisited. … All of them had been fed milk powder that was later found to have been adulterated with a toxic industrial compound called melamine. Four months later, an estimated 300,000 babies in China were sick from the contaminated milk, and the kidney damage led to six fatalities. The 2008 Chinese milk scandal was a widespread food safety incident in China. The scandal involved milk and infant formula along with other food materials and components being adulterated with melamine. Of an estimated 300,000 victims in China, six babies died from kidney stones and other kidney damage and an estimated 54,000 babies were hospitalized. The chemical gives the appearance of higher protein content when added to milk, leading to protein deficiency in the formula. In a separate incident four years prior, watered-down milk had resulted in 12 infant deaths from malnutrition. long back now, but I have got on with Medical Students and meidcal docs from Middle east and other muslim countries. However, what came to me black and white was – even intelligent people would not change their opinions, even if facts would have been before them. This is also common with SOME sinhalayas (so called buddhists), even if they have loads of proofs, that we are all the same (srilankens), they argue on Tamils, Sinhala and Muslims (please check what that EAGLE EYE comments one behind the other). Eagle Eye/HLMahindapalaya is now in his late 70ties, but his thinking has not changed a lot to accept that we are all srilankens. His disparaging comments make him an ultra racist. The news “Possible Existence Of Pig Fat In Milk Powder……” might be a fake to distract attention away from the contentious MMDA1950. Halal Accreditation Council (Guarantee) Limited (HAC), says “…..the majority of milk Powder brands are Halal certified and are free from any non-Halal material (including but not limited to pig fat)”. The use of the word ‘majority’ is a precaution. Carrying the ‘Limited Liability Status a bit too far? “Majority” is used here to exclude the minority of milk powders that are not Halal accredited. Need not be interpreted otherwise. Mental masturbations such as above comment could lead to imaginary ejaculations, but not the real thing! Indelible Amarasiri, is there a thing called ‘certified masturbation’? Certifying ejaculations is risky. Is that why it is a limited liability company? CT is group read and post, instead of just land it here. They know what they post. It is not one point. They brought few of them. 3). ” The HAC has alliances with and recognized by over 80 Foreign Halal Certification Bodies (FHCB), established in over 56 countries spread across the globe. ” That means, at last occasionally, others decision encrypted on HAC works. 4). ” HAC’s standards and audit processes for imported milk powder essentially emphasizes on the need for traceability of all raw material considered critical to Halal conformity. “ If the pig is not found by the test, test are correct but the pig fat is not traceable! 114. Eat of the lawful and good things God has provided for you, and be thankful for God’s blessings, if it is Him that you serve. 115. He has forbidden to you ONLY carrion, and blood, and the flesh of swine, and anything consecrated to other than God. But if anyone is compelled by necessity, without being deliberate or malicious, then God is Forgiving and Merciful. 116.And do not say of falsehood asserted by your tongues, “This is lawful, and this is unlawful,” in order to invent lies and attribute them to God. Those who invent lies and attribute them to God will not succeed. 117. A brief enjoyment—then they will have a painful punishment. I wonder if the HAC guys with their business leader, the head of ACJU, is aware of the above verses. When billionsb of rupees is involved, they give God the back seat. Does the HAC know the fats used? Has it analysed the ‘milk powders’? How is it sure that the fat was not obtained by methods that are haram? The issue is more serious than haram & halal. A product is not what it claims to be. That is a very serious offence. It is very simple – if doubtful refrain from it -. Use fresh cow milk which is available everywhere in the country, even some milk men are selling door to door these days. The general perception is that powder milk is not so healthy, no matter where it comes from. Food & beverage i.e. meat & poultry, veggies, dairy produce & variety of other consumables which are “truly halal” without the Halal labeling are plenty available in the market, no worries. Halal labeling is a kind of rubber stamping on some consumables it has no value at all these days. How do you know unequivocally that it is Allah, God? Do you have reasonably acceptable and unconflicting evidence? Insulin and many enzymes are being extracted from PIG so what will happen when the follower is at the hospital, will he/she refuse medicine and die? The joke is PIG cannot survive in the Arab high-temperature condition how on earth Scientist got this anti-PIG idea? Maybe JEWS don’t eat Porc so a competition? …If you have nothing to eat and in hunger, you are allowed to eat Porc….Scientist said. Extraction of tallow, the hard fat from animal parts, is now a profit maker in the meat industry. Distributors blend it and it will not be easy to identify the components. Most milk powder products have an intermediate packager. Halal Accreditation Council (Guarantee) Limited (HAC) does not do any tests themselves. The assurance of the Milk Powder Packager has to be taken at face value. HAC is no more than a centre collecting ‘assurances’. In Lankan context, will they ever find out the food components of Lemon Puff? “HAC Says Majority Of Milk Powder Brands Halal-Certified”. THIS IS THE CATCH 22 OF THE TOTAL DECEPTION AND HOODWINKING OF THE ALL CEYLON JAMIATHUL ULEMA AND THE HALAL ACCREDITATION COUNCIL (GUARNTEE) KIMITED – (HAC). That means that “REALLY POWDWRED MILK IMPORTED TO SRI LANKA HAS PIG OIL AND LACTOSE MIXED IN IT – WHICH IS “especially” HARAAM FOR MUSLIM CONSUPTION. It is a “HYPOCRATIC AND SHAMEFULL” statement that the ALL CEYLON JAMIYATHUL ULEMA (ACJU) operated sister NGO – The Halal Accreditation Council (Guarantee) Limited, a non-for-profit company established by the ACJU which calls itself as the Halal compliant certification issuing body has “FALSELY” made statements certfying the Milk powder alleged to contain Lactose and Pig Oil to be “HALAL”. This is the greatest “DECEPTION and HOODWINKING to “DUPE” the Muslim community the All Ceylon Jamiyathul Ulema had done to our community. A PRESIDENTIAL COMMISSION SHOULD PROBE THE CORRUPTION OF THE ACJU, THE ILL EARNINGS THEY ARE MAKING BY PROVIDING FALSE HALAL CERTIFICATIONS AND THE ACTIVITIES OF THE The Halal Accreditation Council (Guarantee) Limited, a non-for-profit company established and operated by the hierarchy of the ACJU. https://www.colombotelegraph.com should use the RTI act to obtain the necessary informations about the activities of the ACJU and the Halal Accreditation Council (Guarantee) Limited, a non-for-profit company established and operated by the hierarchy of the ACJU. The whole thing seems to make anyone who reads ‘A Doubting Thomas’.